The International House of Prayer website hosts a live webcast of the 24/7 Prayer Room in Kansas City, where day and night prayer and worship have been going unending for over 10 years. You can also tune in here to IHOP’s weekend services and find out more information about IHOP, upcoming conferences, and internships, and the International House of Prayer University (IHOPU). There is also some great, free, relevant teaching on this site as well as an online bookstore that contains a wealth of great resources you can purchase. Check it out! This is Mike Bickle’s online teaching library. What an amazing collection of teachings from Intimacy with Jesus to Studies of the End Times. We visit this site often and glean from the treasure chest of FREE RESOURCES! 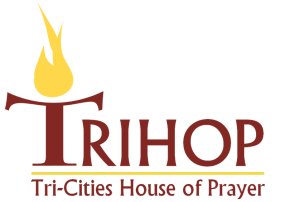 www.incensearise.com Matthew and Julie Wine are on staff with TRIHOP as intercessory missionaries. This is the site for their ministry. www.40daysforlife.com/tricities 40 Days for Life is a National Ministry that concentrates on praying for the ending of abortion. This is Tri-Cities regional campaign site.